Message to The Phalanx of Light. By Gabriel RL. Surely you know that our messages, most of the time, are being delivered in coded form for several reasons. We have already given some explanation as soon as we get in touch with him (Gabriel) to bring our Notes (Pleiades 1 Messages). Our Notes will be like this, always. 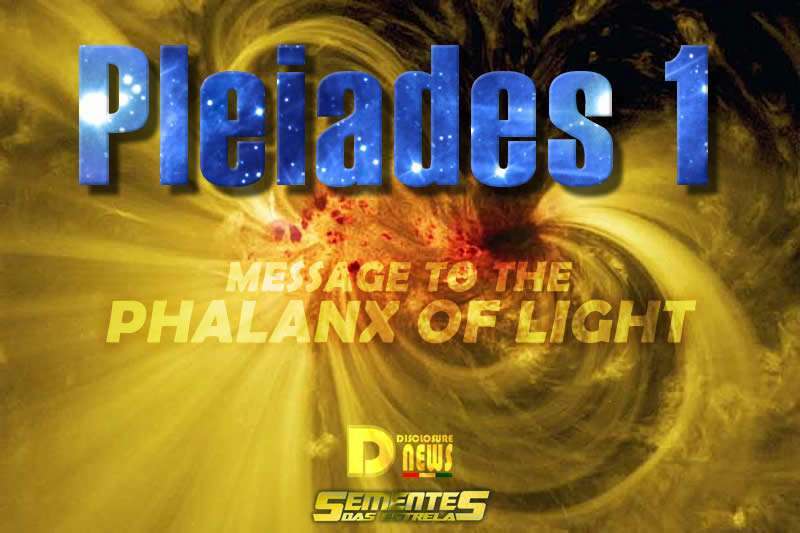 We suggest that you re-read the explanations we gave when we started delivering our notes.See the explanation in Pleiades 1 FAQ Frequent Questions. But today, in particular, we want to congratulate all of you for your dedicated efforts, which have guaranteed a great expansion of consciousness in humanity. Certainly, too, your linear minds may still not conceive this as a great achievement since, to your minds, great feats are those that the artists do: filling football stadiums for their shows. Nothing against that, but we want to make it clear that the Work of the Light is often silent, but always accurate. Even though does not fill any football stadium through your silent works of Love, know that there is always a great movement. 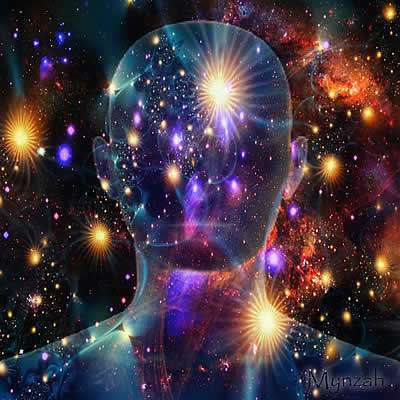 We can hear some minds within the Phalanges (these are gifts offered to Terran mankind by the high spheres so that, from those, everyone has a way of reconnecting with their Inner Divinity), wondering if it really pays, if Something is, in fact, happening! Oh yeah! How couldn’t be? !Only because you do not see a stadium full of lights it doesn’t mean that a great job is not happening! 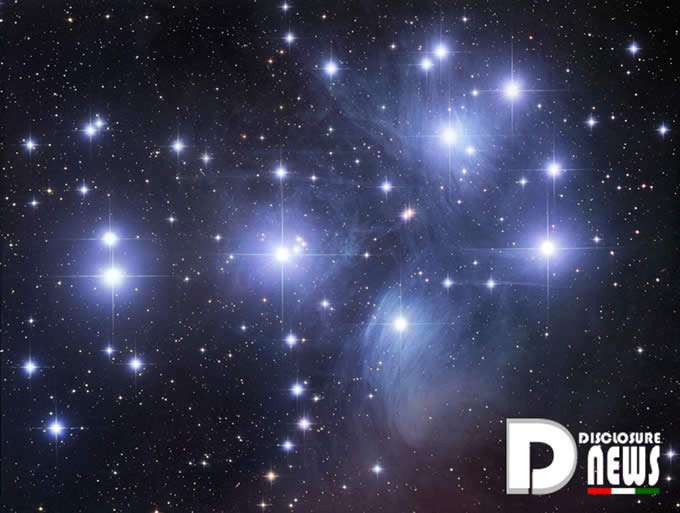 The dear individualisations of Pleiades 1, the signs that your work is being done accurately can be perceived in two simple ways. The first is that those for whom you have worked for regeneration are the ones who will try to take you out of the picture. They know about the “dangers” if you reconnect with your Inner Magic. They know what you’ve been up to; They know that the Light have anchored. They know that you are taking the reins of your life. And this is certainly a danger to them. Don’t be scared! Just listen to those lower thoughts and vibrations and say with all your heart how much you love them. Do not fear them, do not criticize them, do not judge them, but love them. All the enlightened presences who have been in the Terran plane and have recognized their divinity have also gone through these trials. If they have passed them and won, it certainly will not be different with you. Energy and Light are within you. Those who have gone through these trials and have heard conflicting thoughts, have honored, loved and dissolved them in this Love. You will begin to feel more expanded, better and more confident in yourself. They will begin to enter into a state of full acceptance and Love. Avoid judging people, do not pay attention to those who approach to the that give these judgments, honor the choices of all, share negativities on their social networks, or personally. Remain in peace when some turbulence occurs on your way. Remember that you are the ones who hold the force on the Terran Plane and that simple thought will be constantly empowering you. Simply, all these things will begin to be normal for you, because you are entering a much higher frequency. Terranos, it will seem that your lives are turning upside down, the new relationships will come as old ones may go. A true rearrangement is occurring in your lives, to fit the highest standards. And, of course, those who are not compatible with your new high frequencies will be invited to enter the same vibration range or they will naturally go out of your circles. Do not mourn, do not force them to stay and do not bargain: honor! Everything is rearranging in a way that you, beloved Terrans, will experience more and more of the Divine that is in each one. There have been certain movements of currents contrary to the Forces of the Phalanges which have attempted to prevent the expansion of these Conductors of Light, which are you, the High Phalanges of the High Spheres. Know: you are known throughout the Universe for your achievements, and consequently the forces that still control part of the Terran Plan do not really like you and what you have done. Do not worry. Your Light and Love will ensure the safety of your ways. Be unshakable. The more you are persecuted, the more you will know that you are carrying Light wherever there is darkness. Those who wish to remain in the dark will try to quench your Light, as well as “those who sleep they become angry when a Light is kindled“. First of your Phalanges, you have done a lot! Know this! Divine Groupings, you have been entrusted with a Power. You have been entrusted with a Magic: the Magic of Oneness. You were called to unite in Love and benevolence. Called to light your Lights in the darkness of the Terran Plan and now that the Lights are on, the Heavens celebrate. And we can see from space your planet illuminated by thousands of radiant Lights. It is what most makes us happy: to know that this force has been delivered into the hands of qualified beings. We are the spherical consciousnesses called P1, in the company of Zero i and all the Avatars of each of you expressed on the Terran surface.